Effectively designed and implemented outdoor lighting can serve a wide range of purposes, from creating gorgeous design elements to boosting security and safety. However, it requires a professional’s skills and knowledge to pull off the right lighting setup to meet your needs. 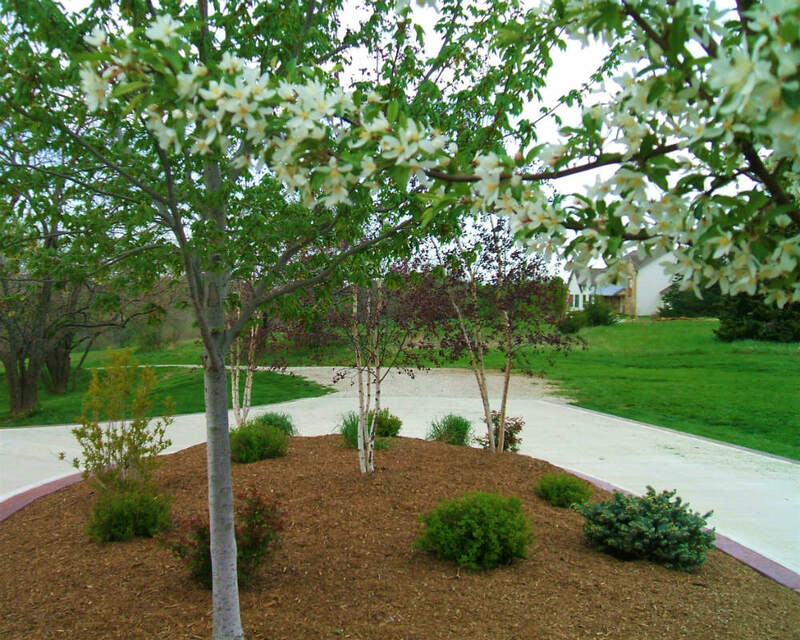 For this, and for much more, you can rely on Lawrence Landscape. 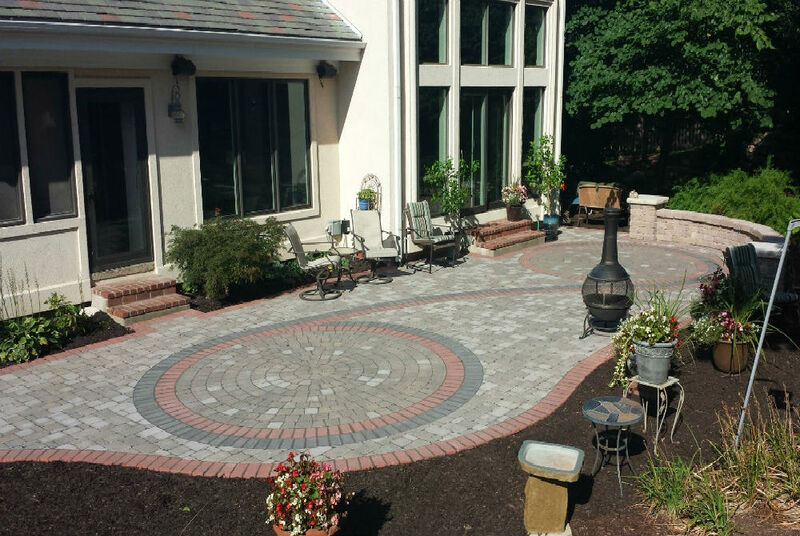 For over 30 years our experienced landscape and outdoor services team has been providing residential and commercial clients with quality products, dependable services, and results that surpass all expectations. Whether you’re looking to craft a unique, dynamic look or you want to increase outdoor security for your Johnson County home, our team is the name to trust for quality in Gardner. 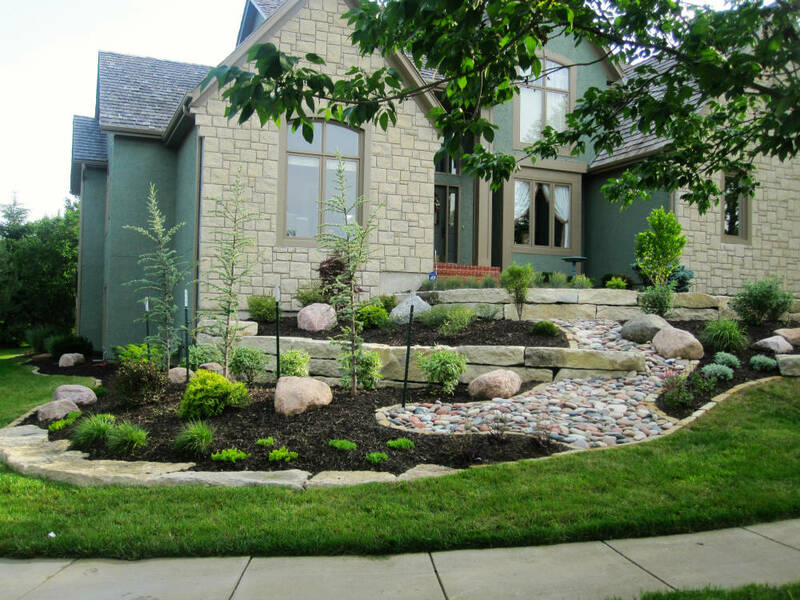 To find out more about our services and outdoor lighting options connect with our local landscaping team by calling (785) 843-4370. You can also contact us online. Path lighting can be used both decoratively and as an added safety measure. These lights are often placed at a measured distance apart to generate a dynamic look along walkways, drives, or on garden paths. Pool lights can expertly highlight your Gardner pool, adding a whole new dimension of visual appeal to an already luxurious entertainment space. Uplighting is most often used to highlight favored outdoor hardscape or softscape features, such as lighting greenery or a sculpture. It is also often used to keep address numbers visible, or as a means of lighting important areas on a home’s exterior. Often used as a more controlled and appealing flood light, downlighting is crafted to mimic natural light sources and most often is seen along the outside of a building’s walls or along outbuildings. Floodlights are best used as a strong, dominant light source, and see the most use in security lighting or as practical lighting to ensure surefootedness in darker areas—or as a means to generate a large amount of quality light in an entertainment area. Step lights are ideal to ensuring no tripping when navigating a staircase. When designed properly and with the right professional, they can also become a very attractive part of your overall outdoor lighting design. As opposed to downlighting, wall lighting often uses a less directed, more ambient source of light that is used to create a clearly illuminated perimeter around a home in Gardner. Though standard intervals tend to stand at around a foot apart, more irregular intervals may be chosen to create unique effects. A gorgeous outdoor space. Any landscape can be made to look gorgeous during daylight hours, but with proper exterior lighting a landscape can transform into something genuinely magical when the sun goes down. Increased safety and security. Landscapes aren’t the easiest things to navigate in the evenings. By illuminating your space appropriately, you can avoid injury and can even deter criminal activity. A higher property value. As well as increasing the net value of your home as a whole, outdoor lighting also boosts curb appeal substantially. Better outdoor living. If you enjoy time out on the deck or patio, a well-implemented lighting design will make your evening entertainment all the better. Our team places the needs and wants of your home above all else. We would be glad to use our experience and dedication to improve your outdoor space with professionally designed and installed lighting. Our team proudly provides outdoor lighting services to all of Gardner, from West 175th Street to Kill Creek Road! Contact us online, or call (785) 843-4370 to get started today!